Facelifts don't necessarily have to be freaky. 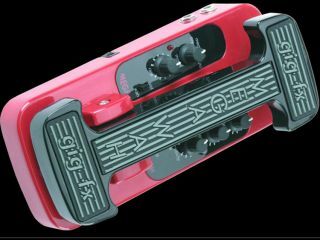 Just take a look at gig-fx's new version of the Megawah pedal. With this update, the folks at gig-fx claim to have warmed up the Megawah's high-end response while maintaining the signature wide sweep range and funky low end. Improvements have also been made to the mechanics of the pedal allowing smoother action and user-adjustable pedal resistance. The pedal uses optical switching and is noiselessly by-passed when the pedal is all the way back. Gig-fx has introduced a user-adjustable delay so that when sweeping the pedal, the unit does not turn off accidentally. The original Megawah has been picked up by an impressive list of guitarists such as Johnny Hiland, Nick McCabe (The Verve), Richard Fortus (Guns N' Roses) and Mike Scott (Justin Timberlake / Prince). Keyboardists have also taken to the pedal - Jordan Rudess (Dream Theater), John "JT" Thomas (Bruce Hornsby) and Neal Evans (Soulive) to name but a few. All gig-fx pedals are housed in road-worthy, lightweight aircraft aluminum castings featuring a patented, ergonomic shape and are manufactured to the highest standards featuring a true analog signal path with transparent by-pass. For more information, such as availability and pricing, check out the official gig-fx website.